I’ve always been a lazy gardener. Ask my husband. The lawnmower made a weekly pilgrimage through my old garden because I never kept the edges under control. Weeding is not my forte. Watering is an afterthought. But eating? Eating is something I’m really good at. Hence, we keep a garden. 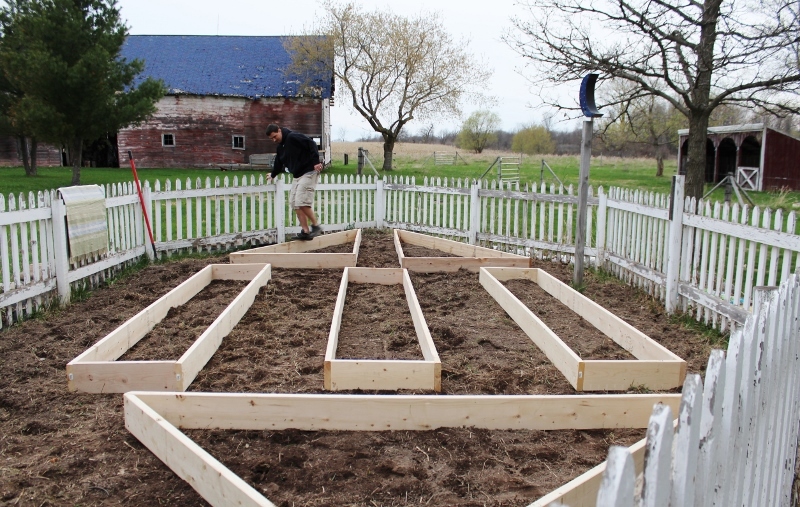 We’ve looked at raised bed and square foot gardens for a few years now. The magazines promise easy, carefree produce. The people we talk to raved about the easy organization and lack of weeding. And our master gardener friend who lives down the road was still asking us if we wanted carrots in NOVEMBER. So. This year is the year of raised bed gardens at our farm. We’re doing it. Okay, Jason’s doing it. 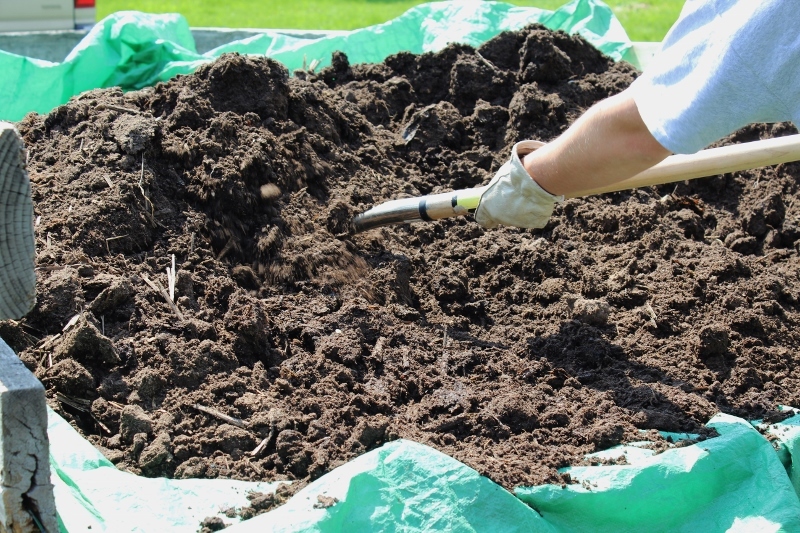 He built the beds, shoveled the compost and manure, hauled the giant bags of vermiculite, and planned the whole thing out. I, uh, helped carry the boxes. Soil isn’t really soil. The stuff in the garden boxes is 1/3 compost, 1/3 animal organic matter (manure), and 1/3 vermiculite. Aside from being fun to say, this is basically just the stuff that helps the mixture retain moisture. The raised beds are 2 x 4’s (I think) that Jason measured, cut, and hammered into place. Pretty simple. You can buy cute ornaments to decorate and hold the corners square, but we’re going Swedish utilitarian this year. I’ll check back in with a few progress reports when something’s happening. This entry was posted in Good Food and tagged family, farm life, gardening in Minnesota, raised bed gardening, start a garden, vermiculite. Bookmark the permalink.